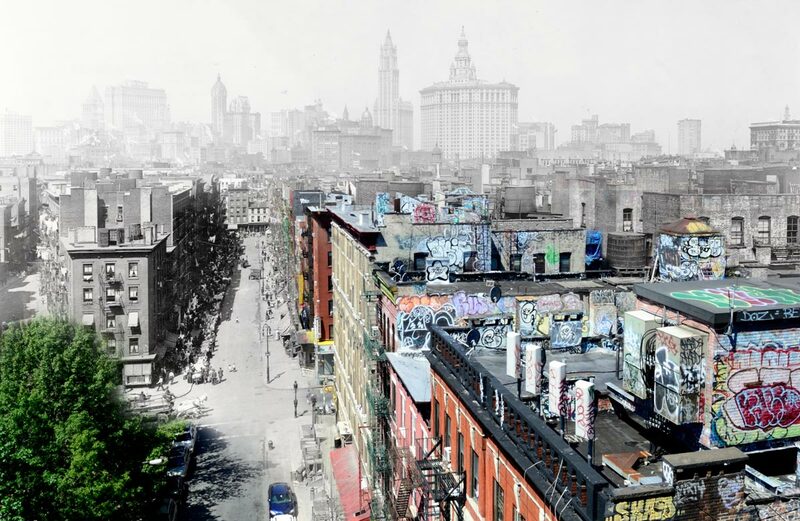 Urban Memory Project co-founder and director, Rebecca Krucoff, spent 10 weeks in Spring 2017 with Brooklyn Friends School freshmen to document the school’s illustrious 150 years for its anniversary celebration. Central to the project were the fascinating recollections of five BFS alumni spanning the decades of the 1930s – 1980s. 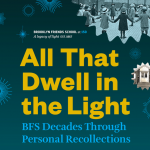 Students worked with Rebecca and graphic designer, Carl Petrosyan, to interview the alumni and to conduct research in the BFS archives to illustrate five beautiful panels on display at Brooklyn Friends School throughout the anniversary year. Check out excerpts from the alumni interviews, and read more about the project in the Brooklyn Eagle article accompanying the school’s celebration.